It looks absolutely terrific. Nice work on the canopy and the red really look the part. Color, everything right on. I did raise the mold and also built out the back to avoid the hard angles. 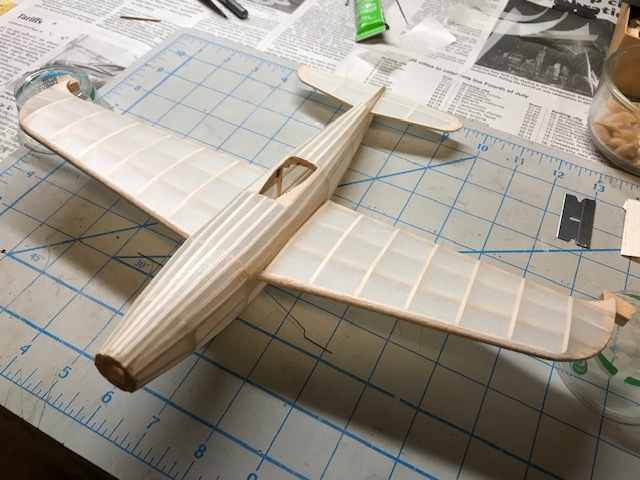 This weekend I did successfully vacuum form the canopy and I turned out great!! Went with red because I think it looks good and because I'm out of clear. You might try raising the mold a bit higher off the platten. Small update. 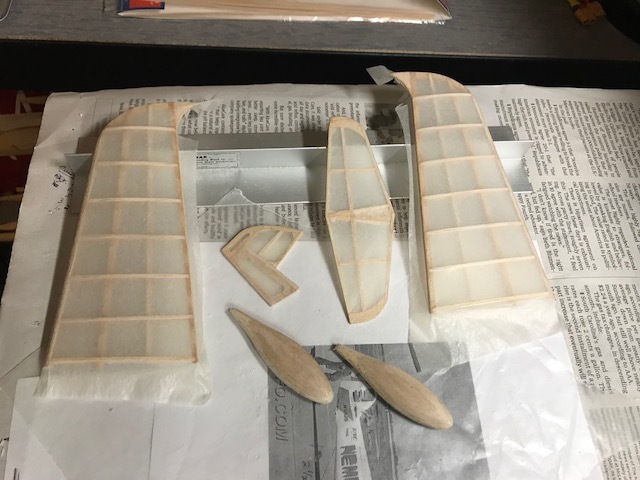 Last weekend I vacuum formed 4 canopies...... or I should say I tried too Failure with all 4. I think I was trying to hard to conserve material and had too small of a sheet of plastic. Also, the first couple were flat on the vacuum frame. Last two I added a 1/8 riser - that helped - but I got creases at the pointy front. I'll try again this weekend. 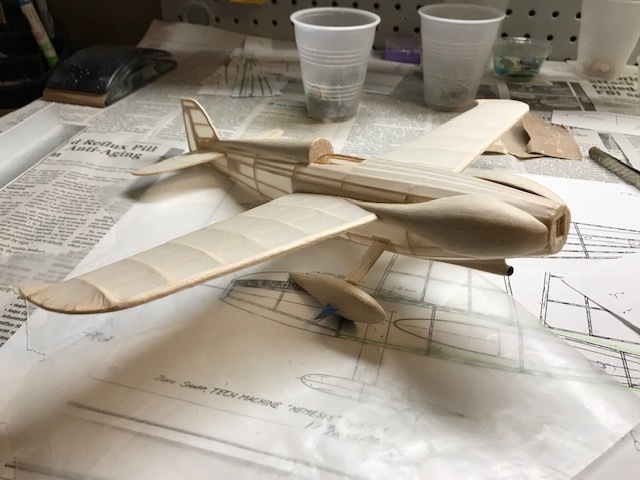 I need to get this plane finished !! Final weight will be about 23 grams. 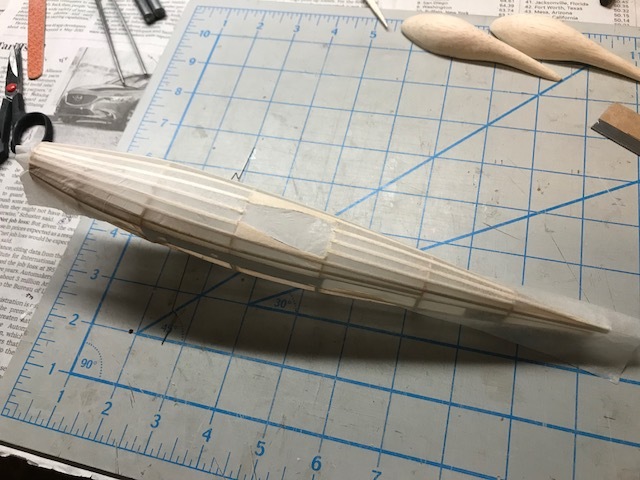 It's 22 now and I only need to vacuum form and attach the canopy to finish up. Balance is also very close. I did make the back tail wheel from a lead fishing weight - a nice way to hide the weight need to offset those big old cheek cowls. Looks good Brad. What does she weight in at? 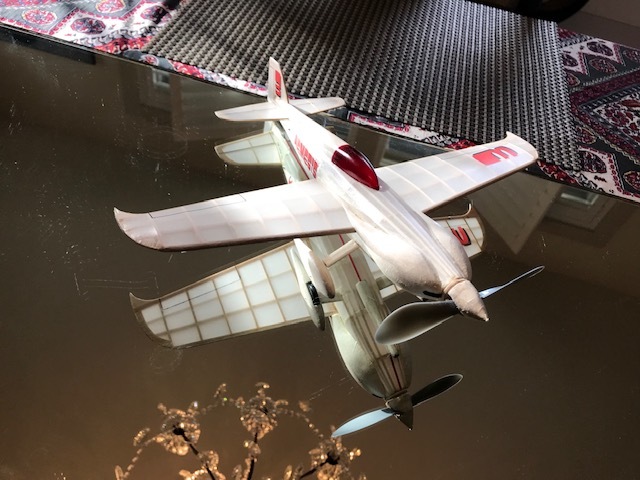 THAT is one impressive model, Brad! Those big cowl blisters are spectacular! 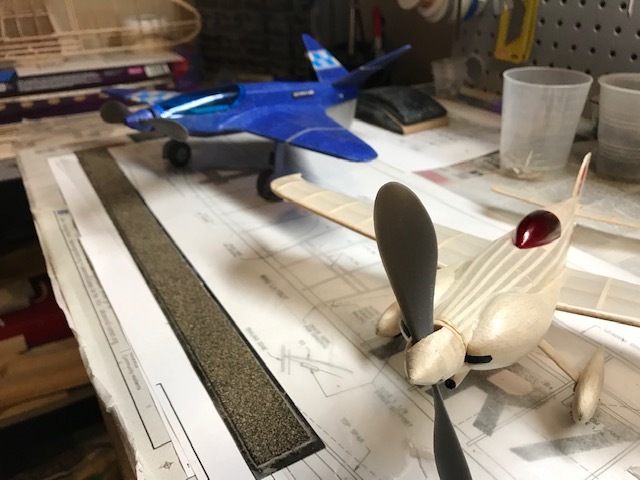 No such thing as cheating on a model build, Brad...whatever it takes. It's not cheating...it's innovative. One of the benefits of managing a creative team!!! 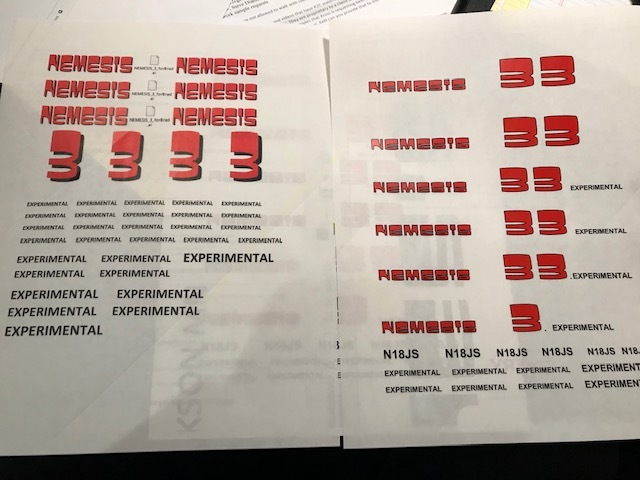 This is a tough font to find so I sent a photo of the plane to the graphics team with the rough size I needed each element. Then I just added some "experimental", etc. 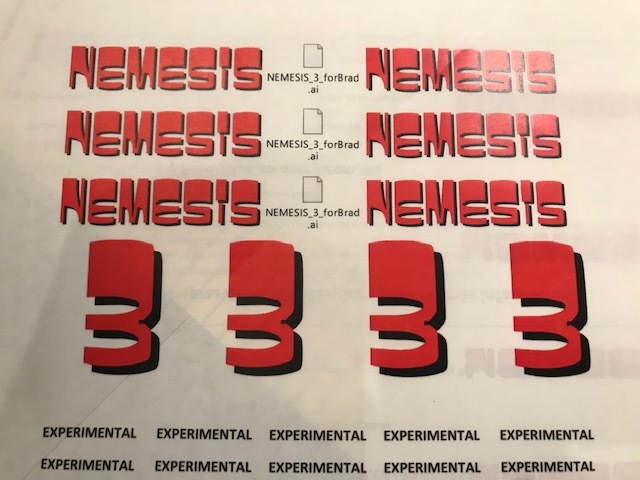 items in various sizes and put clear stick material through the color printer I feel it's cheating, however, it's a curvy font, it's small and has a black drop shadow - all very difficult with tissue. I have one coat of EZ Dope on the plane and it shrunk up great. One more light coat, then the decals. An outstanding build and I'm beginningg to agree it may be better with the clean tissue finish. Thanks Mike. My airbrush is supposed to arrive today and paints etc. later this week. However, I'm still on the fence about to spray her white or leave her natural. Currently the tissue has not been shrunk or doped other than when it was dampened while applying. John, I'm tending to agree with you and I'm leaning toward leaving it natural. I think the plane 'reads' white due to the absence of color. 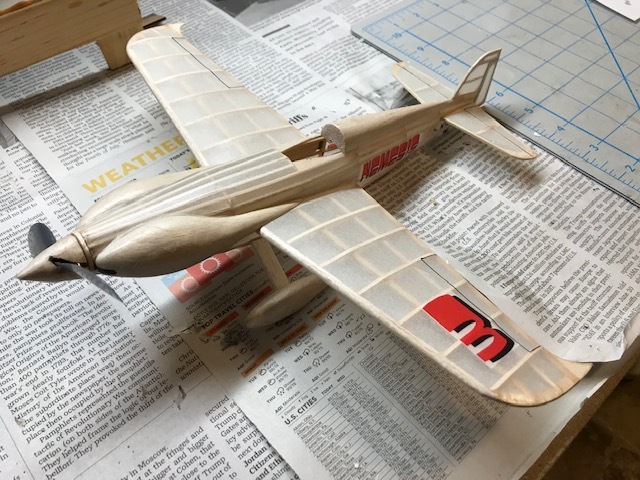 My new airbrush setup arrives today, but I need to do a little practice before I start shooting an almost finished plane!! It's been many years since I wielded an airbrush. 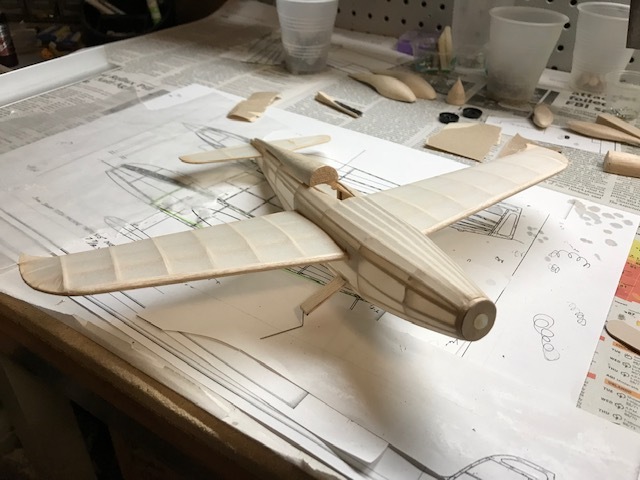 Here are some shots as I mounted the wings, turtle deck, stabilizer, rudder, chin scoop and cheek cowls. 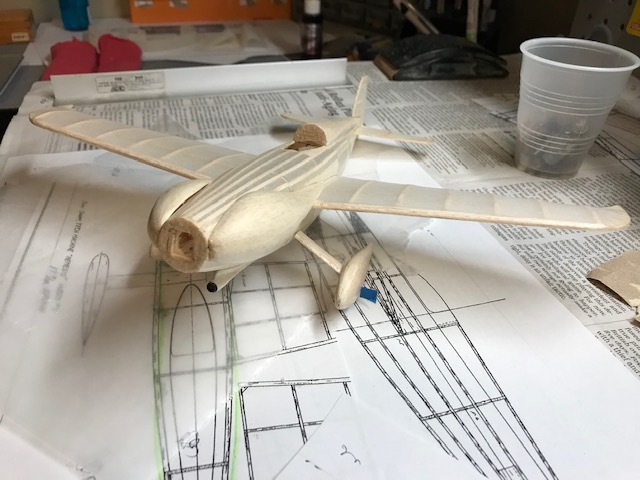 Over all I'm very pleased, however, my cowls don't fit quite as well as I thought once the fuselage was covered. 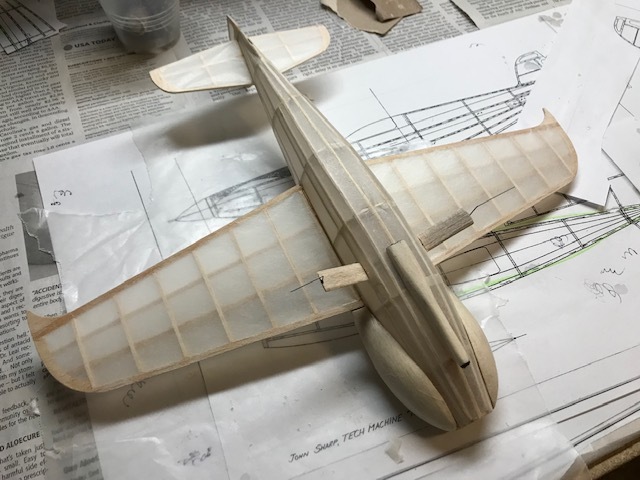 You are well on your way with the smooth composite look. 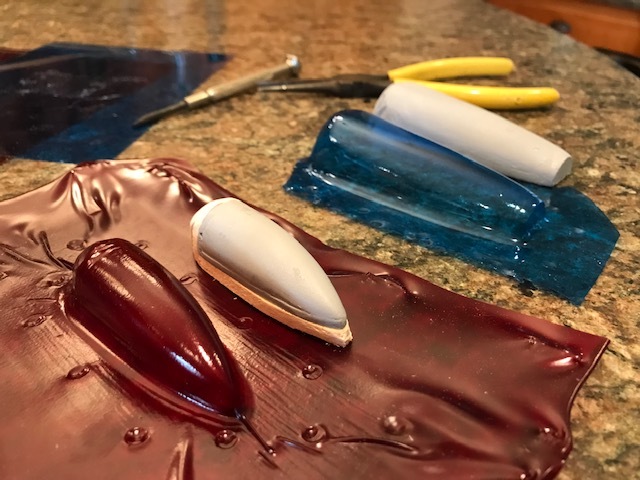 The tissue went very well and to the airbrush, do get an inexpensive one that is external mix, easy to learn and more importantly, easier to clean. A little practice and you will be on your way. 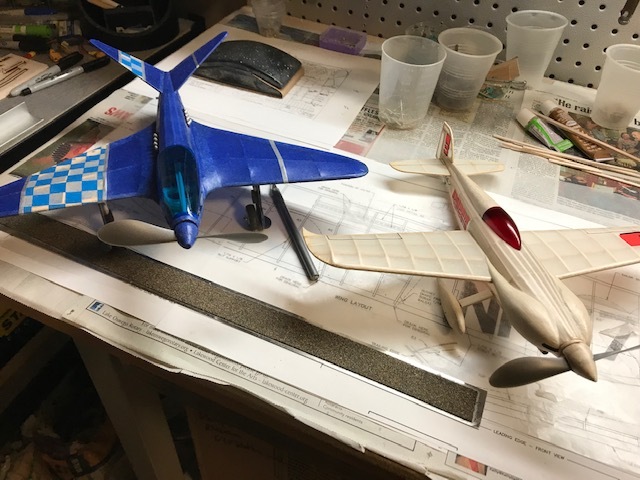 Tom has some great experience with his airbrush and some of his builds give some guidance. 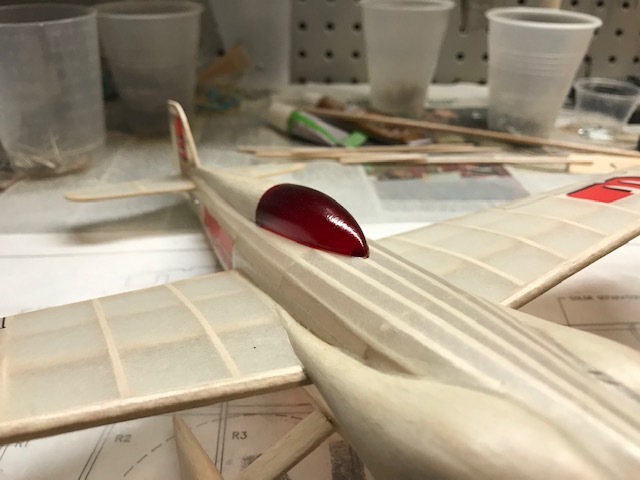 I have started to cover the plane. I'm torn between painting it or leaving it 'natural'. 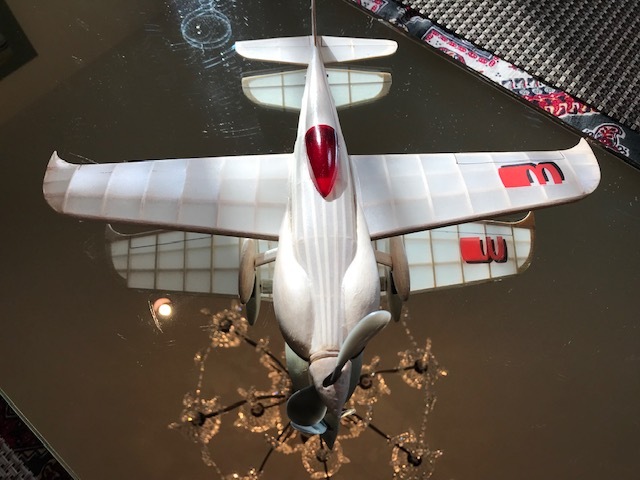 I like to see the structure, but the real plane is white. I'm leaning toward picking up an airbrush and giving it a go. I'm covering everything i.e. 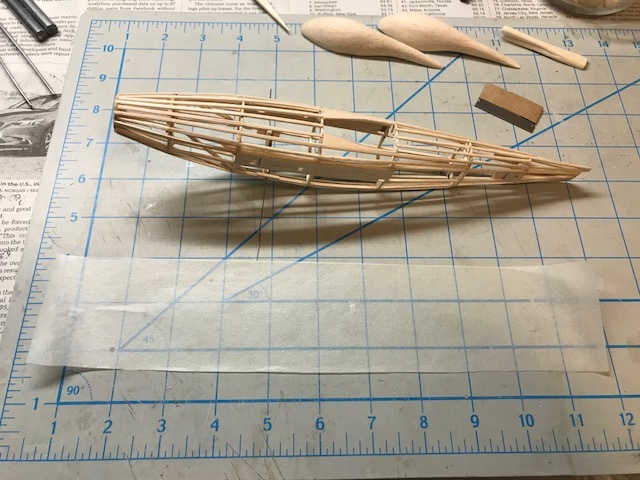 wheel pants, cowls, turtle deck, instead of adding weight with primer. It's gone fairly well. I'm applying the Isaki tissue damp, and it formers very well. 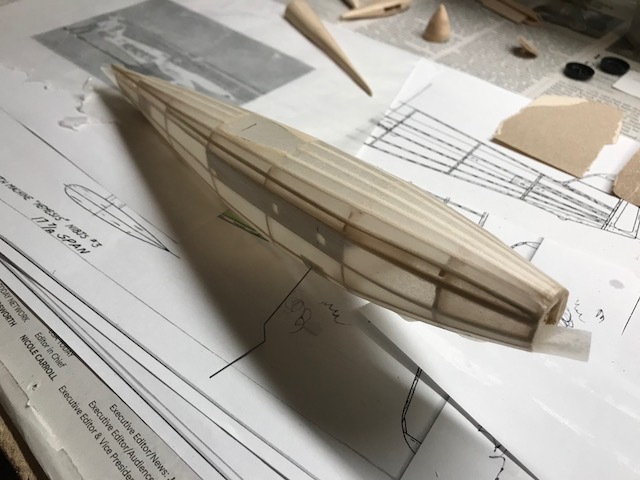 My plan is to cover everything, then assemble all the components into the final plane, so I can seal all the seams with narrow strips of tissue. Trying to get the smooth composite look. Very Beautyful! will follow this build.